All you have to do is smile! Scout & Sons is a family-owned business devoted to making memories and capturing smiles at Nantucket events, parties, weddings and fundraisers. With a focus on building customized activations and delivering impeccable customer service, Scout & Sons is the perfect photo partner for your special occasion. Whether you choose our Volkswagen bus or freestanding photo booth, we handle every detail, so all you have to do is smile. 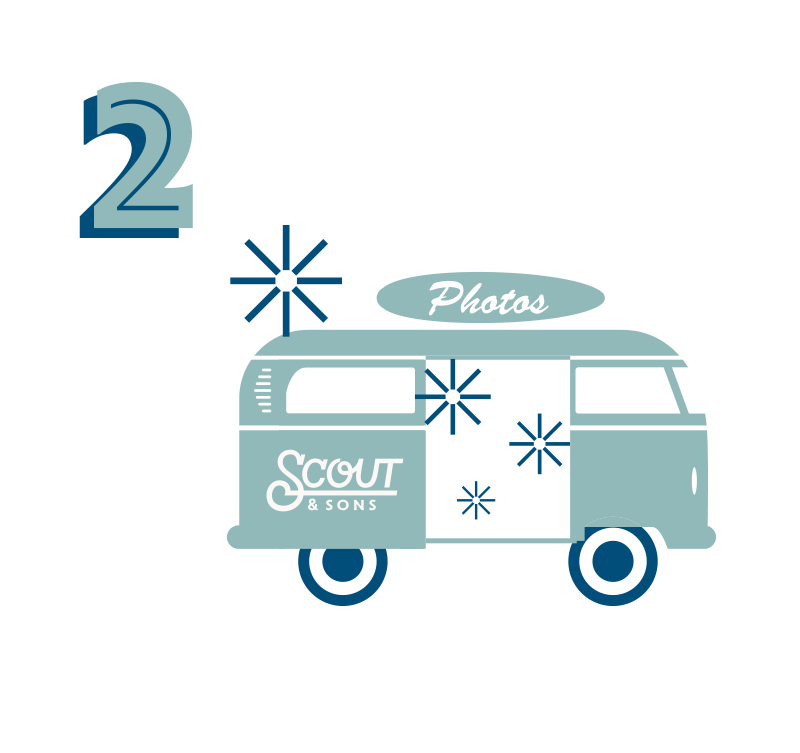 Using advanced equipment, Scout & Sons delivers a bespoke photography experience, either with their vintage VW bus or freestanding open-air setup. A full roster of branding and customization options allows you to create a totally unique photo experience for your guests at the right price for your budget. Our team handles all setup, production, staffing and load out. All you and your guests have to do is smile!